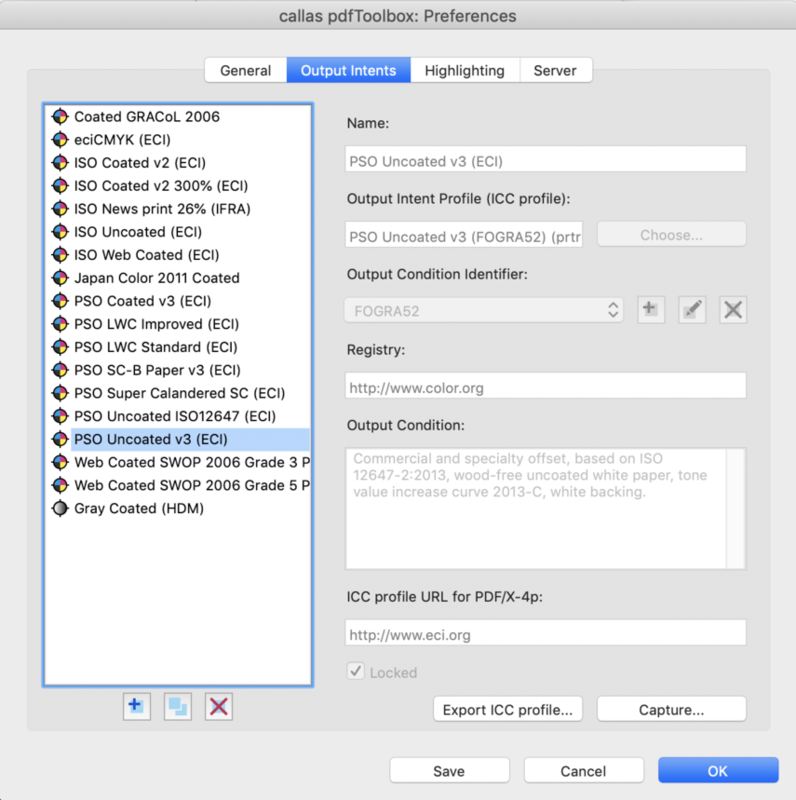 Numerous predefined Output Intents are already delivered with pdfToolbox. But if certain output intents are missing or if you need further Output Intents that are not yet available, you can simply define and create them using Preferences settings. To add your own Output Intent, simply click on the small "+" symbol below the list on the left. Then assign a name, select the ICC target profile and select the "Registered Name (OutputConditionIdentifier). If the latter is not yet available, you can create it yourself using the "+" symbol. Make sure that the Registration URL and the definition of the output condition are entered correctly. These are embedded as meta information in the PDF files later provided with this Output Intent. If you now create a new Fixup (Fixup type "Embed Output Intent on page level"), the new Output Intent defined in the last step should be selectable in the list.